Writing is a skill that you do not develop overnight. It takes time, practice and a lot of practice to get a handle on it. No matter if you are a blogger, a published author or a student dealing with your paper writing tasks, it's always a challenge to put words together in a way that sounds good, makes sense and makes the reader feel something and understand your point. No matter how hard it seems, always remember that there are so many ways to get writing help whenever you need. Here are several tools and tips that can help you improve your writing skill. And you can apply this whenever you need to get better at something. Continuous practice is what helps you get accustomed to doing anything, no matter if it's writing or anything else. Writing regularly will make you get through the fear of the blank page, and it will help you develop your unique style. Writing is strongly connected to reading. You improve your vocabulary, and you get accustomed to how the material should flow, sentence structure and word choice, but you will also know what mistakes to avoid. This does not apply if you read tabloids and cooking books. Expand your horizons and choose reading materials that are more challenging. Nobody likes standing in front of some strangers and bare their soul to the world. But a writing workshop can be very beneficial and also fun. Find a professional development group or a content marketing meet-up and meet like-minded writers. You can learn a lot of them and also find some relief in seeing other people that have the same struggles as you do. Most people read the same websites or blogs because they like them, but few of them understand why they like them. Find several recent blog posts that you love and print them. Then take a red pen and highlight everything that you like in them, such as turns of phrase, certain sentences, or even paragraphs. Analyze what you liked about these elements and see if you can find any common threads in these blogs. Apply the technique you discovered to your own writing. If you have some writers that you read on a regular basis, try to figure what is it that you enjoy about their work and see if and how you can use it to improve your writing skills. In time, you will be able to develop your own style, but when you are at the beginning of the road seeing how others constructed their books, blogs or essays is very helpful. No matter how much you write or how often, you always have to edit your papers. Editing is not easy, especially for a beginner writer, because it places immense value on the effort and time he/she has put into writing in the first place. Be tough on yourself and know when you should rework or delete something. You can make use of the Correctica and Grammarly editing tools to check for grammatical errors and even plagiarism. 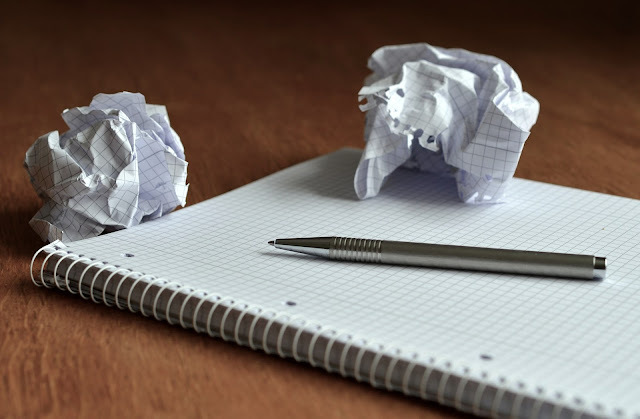 No matter what you want to write, you need an outline. No matter if you have essay writing or story writing to do, you need to sketch an outline of your main ideas. Any good writer would first create a solid plan. Draw a simple framework of your paper's sections and a few sentences about each one. Google Docs is a valuable tool that can help you when you write paper. You can use the research tool of Google Docs to do online research on a certain topic, to find educational information or quotes or to request comments or edits from your peers. If you want to easily turn your research notes and brainstormed ideas into an article, HubSpot Composer is what you need. The tool can format drafts into blog posts. You just paste the text from Google Docs or Word into Composer, and it will automatically reformat the texts for blog publication. For a distraction-free environment, while you write, you have Coffitivity, which also boosts your productivity. The University of Chicago did a study and the results showed that a moderate level of ambient noise, also known as white noise, can help you be more creative. Coffitivity provides café background sounds at an intensity of your choice. When you get stuck on a word it can take a lot of time to open your browser and Google a synonym for it, not to mention there is a high chance you will also quickly check your Facebook and Twitter since you are there. Twinword Writer is a smart tool that will automatically sense when you pause because you are stuck on a word and it will quickly analyze the context in which you want to use it and give you several alternate words you can use. You can also click on any other word to get suggestions. If you want to include a quote in your paper from a celebrity, politician, author or any other public figure, you have BrainyQuote. This tool is, in fact, a library with millions of quotes that you can search by the speaker. The Hemingway App was named after the famous writer Ernest Hemingway who as admired for his succinct writing style. This app helps you make your paper more easily readable, showing you options on how to make your text simpler and improve readability. Nobody said that writing is a piece of cake, but with these tools and tips it will be much easier for you to focus, writer faster and have more amazing ideas to share in your papers.